Archbishop Gregory Venables, Primate of South America, was one of the founding Gafcon Primates and attended the Primates Meeting between 2002 and 2011 before stepping down as Primate. He was re-elected as Primate in 2017 for another term, succeeding Archbishop Tito Zavala (Chile). 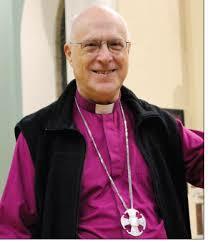 Archbishop Venables shared his experience of the recent Primates Meeting in Canterbury. He recently spoke about his experience at the Primates Meeting. In the conversation, Archbishop Venables expressed his strong desire for Gafcon to improve the communication amongst the movement’s members, be robust enough to attract new members, and to hold together in the face of powerful challenges to the word of God. He questioned the accuracy of the Communique and the process by which it was produced. He speaks about the necessity of discipline, and the inability of the Anglican Communion to function coherently a church. Below are quotes from Archbishop Venables on each theme. Are The Primates Walking Together? What was identified clearly in the meeting is that some aren’t walking together, some are walking together but at a distance, and some are walking together. But even those three ways of grouping that situation don’t deal with the issue. The issue is, why aren’t people walking together? And we aren’t walking together because the situation has not been dealt with. It’s more than ‘not right.’ It’s life and death, and it has to be dealt with. That was expressed clearly in the meeting, but of course isn’t there in the Communique. Every other Primates Meeting I have been a part of has begun with a moment when we set up a communique commission; a draft commission whose job it was to prepare a draft communique which we checked every morning and every evening of every day to see how we were doing. Admittedly, I left on the lunch on Wednesday, but I heard nothing about a draft communique. So who wrote it? It does not reflect what I experienced and heard in the meeting. That’s fine, it might be somebody’s perception, but it wasn’t my perception and that leads me to ask more serious questions. What worries me far more now is the appearance of orthodoxy. We might be in language, but are we in our attitude to the Word of God. What did the Reformation take as fact? The Word of God. In all our services we read the Word and say, “This is the Word of the Lord.” If scripture is not our final authority then we have no authority. Maybe the Anglican way doesn’t have a way of doing this. Maybe that is what we just have to accept. The problem is part of the role of church leadership is discipline. If we cannot exercise discipline when people wander away from the truth, then the church cannot function as the church, and that’s where the wheels have dropped off. Because when push comes to shove, and we make the decisions as we did in Dar es Salaam, we talked about them in Dromantine, we talked about them again in Alexandria, it was talked about again last year in January, and then someone says, ‘But we don’t have the authority to do it.’ Then it means that we are not able to fulfill our responsibility as church leaders, because there has to be discipline. If you read the New Testament, Paul does not assume some sort of Papal figure. There is no one overall leader in the New Testament, and I don’t believe there’s meant to be. Maybe there’s meant to be a group of people who come together and come to some decision, but certainly there is a need for leadership to exercise discipline. And we haven’t found it. And I don’t know who now is going to sit down now and say, ‘How do we do that?’ Although we talked about it in the Primates Meeting, we did not get to a place where we were really becoming pragmatic in what we were talking about. And that’s a great pity. I’m looking for cohesion and accountability, and people being able to do what they are called to do as church leaders. What is the Message Coming Out of the Primates Meeting? Maybe the message is, you have to either be a relativist, pluralist or there’s no place for you. Maybe that’s the message, but I don’t see that very many people within the Anglican Communion have actually understood that. I don’t see that people have realized that we do not really agree on the essential salvation issues, because if we did we would not be in the situation that we’ve been in for a long time. It was marked in 1998, we discussed it in Lambeth 1998, it was absolutely confirmed in November 2003 when Gene Robinson was consecrated, and it’s gone on being confirmed in the time up until now. In that sense, one of the messages from the Primates Meeting was it’s “business as usual.” Things haven’t changed. This is how it’s going to be, and that saddens me deeply. This entry was posted on Wednesday, October 11th, 2017 at 7:16 am	and is filed under Uncategorized. You can follow any responses to this entry through the RSS 2.0 feed. You can leave a response, or trackback from your own site.